What is Squash and Racketball? Come rain or shine, make a racket and get a good workout with squash or racketball. Players take it in turns to hit the ball against the walls, with a player scoring if their opponent fails to return the ball. Squash is a bit faster-paced than racketball, but they’re two pretty similar sports, and both are a great workout. 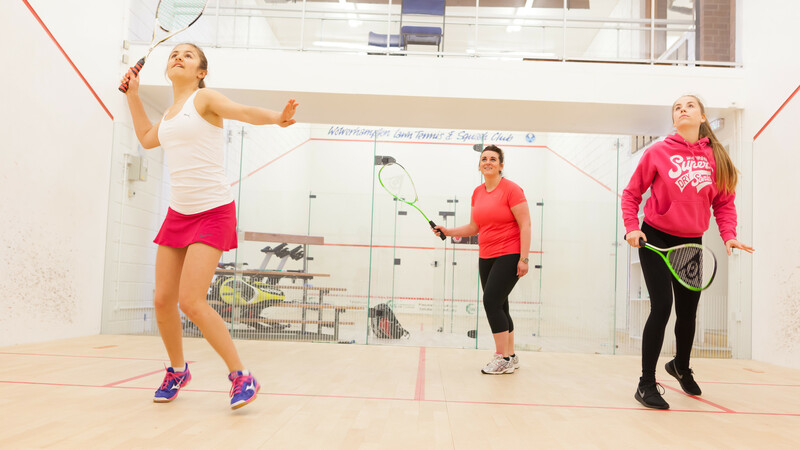 You can find squash courts at most leisure centres or join a club to have access to competitions, coaching and more. These are fast-paced sports, so it’s worth being sure that’s something you want to try. All you need is normal sportswear and trainers, some centres will insist on non-marking shoes. If you’re hiring a court yourself, you’ll usually need to provide your own racquet and balls. In organised sessions, equipment will usually be provided by organisers. Racketball organisers require you to wear eye protection. You might want to check for more information at England Squash and Squash 57.